“The link between academic failure and delinquency, violence, and crime is welded to reading failure.” – Michael Brunner, Retarding America: The Imprisonment of Potential. As a Research Fellow at the National Institute of Justice, Michael Brunner drew a very stark link between poor reading skills and criminal conviction. A recent (2010) study has shown that 85% of all persons who are remanded to juvenile courts are functionally illiterate. Among adults, 70% of all inmates cannot read above the 4th grade level, and 60% are functionally illiterate. It is, of course, only one symptom of a matrix of conditions which lead to crime, but it is at least an area in which concrete improvement can be made and, perhaps, through such improvement the matrix can be changed. While literacy programs, particularly prison-based, are not panaceas, they can benefit criminal offenders. In order to motivate offenders to improve their literacy, however, there must be some clear benefit. The following four advantages for prison inmates can be presented as inducements for inmates to improve their reading skills and to begin to read on a regular basis. These incentives are arranged from the most personal – even selfish – to larger and more long-term benefits. Incarceration is boring. Yes, there is always the potential for violence – sometimes punctuated with active onslaught – but, for the most part, it is a life of monotony. This is why, for generations, the slang term for being in prison has been “doing time.” Entertainment of any kind is valued, which is why sports, games, hobbies and television are appreciated to such a high degree. If an inmate can be convinced of the entertainment value of reading as a pleasurable (and non-violent) means of spending time, the incentive for striving for better reading skills to enable him or her to read for enjoyment is that much greater. It allows an inmate to indulge in one of the great positive values of reading: Escapist fiction. All human beings – and perhaps especially criminal offenders – have a tendency to believe that their situations are unique. Obviously, by being in prison, an inmate shares a common experience with many others, but there is still an isolating feeling that they are experiencing something that has never, quite happened to anyone else. Literature, biographies and history texts are replete with examples of others who have not only shared any individual convict’s experience, but have risen above that situation. It can be called “inspirational” reading, in the sense that the reader can experience a way out of his current situation; by reading about how others have overcome adversity can motivate him to attempt to do the same. Even beyond individual isolation, criminal offenders are often socially and geographically isolated. They often grown up in and lived in a narrowly bound area – a defined neighborhood – and have a limited number of friends and acquaintances. No medieval villager has ever lived so bounded a life as many modern criminal offenders, even outside prison. By improving their reading skills, and practicing them, an inmate has literally the entire length and breadth of human history – and beyond – and all the earth – and beyond – to explore. This is more than escapism, it is a revelation that there are other possibilities, other places and other futures than what they had ever considered before. If, as is often the case, a criminal offender has not experienced much success in a formal classroom setting, literature can provide a self-guided, self-motivated and self-taught course of education. Auto didacts can often achieve amazing results in broadening their knowledge, language skills and motivation for a less painful life. This is particularly true if, once a reader realizes what a treasure lies at their fingertips, they have a mentor to guide them on some of the possible styles, authors and genres they might have otherwise missed. There is an old saying, “When the only tool you have is a hammer, all the problems look like nails.” Literature can provide criminal offenders with an entire toolbox from which to choose solutions. No, literature is not a single remedy for all the troubles of the world, but it can add to the value to a troubled life. Guest post contributed by Sandy Atwood, on behalf of Attorneys.com Sandy is an accident attorney and in her spare time, she takes an interest in and writes about criminal law. If you decided to sit your child down and announced that today you were going to give little Jacob or Emma a lesson in compassion, what do you think his or her reaction would be? More than likely, it would not be squeals of delight and a question about whether there would be a quiz at the end. Whether children realize it or not, learning how to be compassionate toward others is something they can start developing when they are quite young. The five books that make kids more compassionate listed here are great choices to help them learn that lesson without making them feel as if they are in school. This book, which is written for 4-8 year-olds, focuses on a young boy who is worried about the possibility of encountering a bully at school. Children learn compassion for the child who may be a target and through discovering this book with their parents can start a discussion about the bigger issue of bullying, why some children (and adults) behave that way, and how it makes the target of this type of behavior feel. Another theme of this book is that we must learn to take each moment as it comes, without worrying about the future. This idea of being fully present in the here and now is one which will benefit a youngster as he or she grows into adulthood. The idea behind this beloved story is a very simple one. 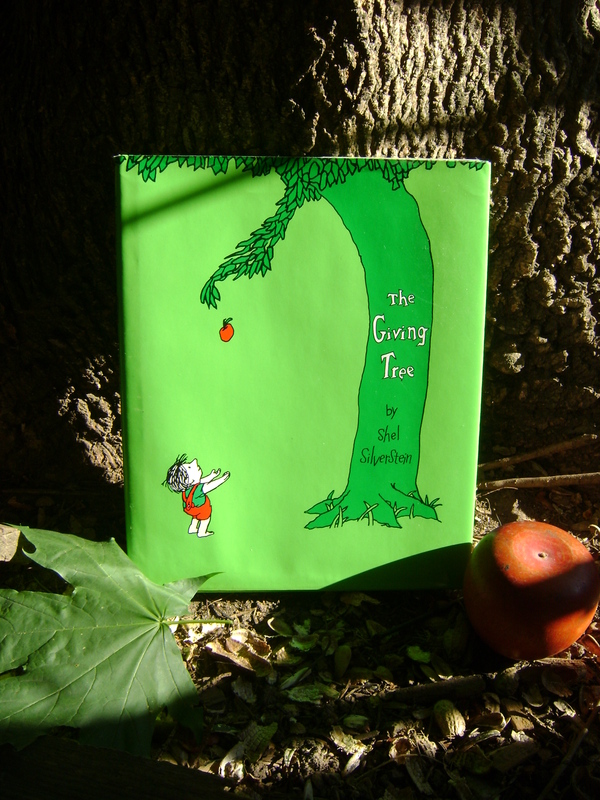 The main character is a tree which simply gave everything it had to a boy out of love, including simple things like shade to help keep him cool in hot weather or a larger request like a place to build a tree house. Children aged 4-8 will learn that giving out of love is the right thing to do. Author Victoria Osteen explores the theme that being kind to other people is the right thing to do, even when circumstances are difficult. In this story, Pirate Fred and Curly Beard are rescued from a sinking ship by Captain Jon and First Mate Sue. The rescued pirates are grumpy at first, but learn about friendship and sharing as the story moves on. This story is a good choice for children between the ages of 3-7. The Ant Bully is a story about a bully having the tables turned on him by finding out how his actions affect others. This story, which is a good choice for children aged four and up, focuses on Lucas, a kid who is taunted by another child who turns on his bully with a squirt gun and uses it on an ant colony as well. The ants use a magical green potion to shrink Lucas down to their size and sentence him to hard labor. He learns his lesson while living among the ants and children will learn the lesson that treating someone else badly because of the actions of a bully is not a way to show compassion for others. This is another story which would be appropriate for children ages four and up. Its plot focuses on Mean Jean, who simply was the Recess Queen. No one on the playground did anything unless Jean told them it was all right to do it. She ruled the roost, until one day a new girl came to school and everything changed. Katie Sue was not intimidated by Mean Jean. She asked Mean Jean to jump rope with her instead. This simple act of friendship (and compassion) made the difference in the story and it is an effective way to teach children that reaching out to others can be a way to diffuse a situation. When you are exploring these five books that make kids more compassionate with the young people who mean the most to you, don’t forget to ask questions about their experiences as you read the story. The book can be a wonderful starting point for this ongoing life lesson. Colin is an in-house copywriter at http://www.essaypedia.com/. He specializes in writing of custom research papers and essays on history and arts.